Lydiard Park, the ancestral home of the Viscounts Bolingbroke, lies in beautiful parkland within easy reach of junction 16 on the M4. The Palladian house, stunning church, formal parkland and surrounding pasture are the striking remains of a great country estate, which reached its peak in the 18th Century. Open all year, visitors can tour the State Rooms of Lydiard House, stroll around the beautiful Georgian walled garden and explore 260 acres of lawns, lakes, woods and parkland. Plus there is a large children's play area and cafe. 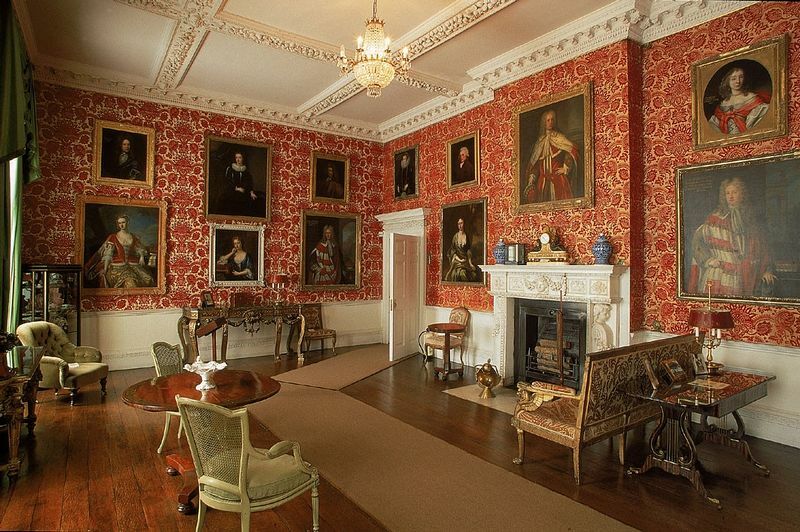 to wander at leisure through the elegant apartments where ornate plasterwork and original family furnishings are preserved alongside portraits of the St John family who lived here from Elizabethan times. 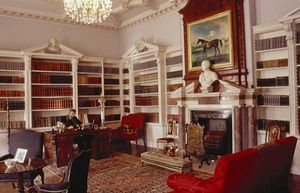 More recent family photographs lend an intimate atmosphere to the House which is one of Wiltshire's smaller stately homes. 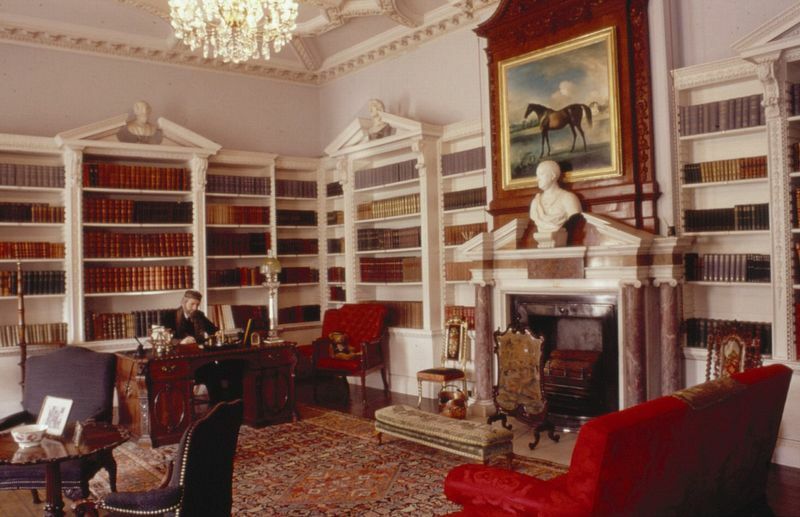 Lydiard's curious little blue Dressing Room is devoted to the talented 18th century society artist Lady Diana Spencer. Lady Diana married into the St John family becoming the 2nd Viscountess Bolingbroke. Some of her delightful floral wall panels and pictures of her children are on display. A fascinating 17th century painted window by Abraham Van Linge is another favourite attraction. It contains over a hundred pieces of glass exquisitely painted with figures, flowers, strange mythical creatures, tiny flies and even an elephant. Guide books are available as well as quiz sheets and discovery trails for families and children. Towering Cedars of Lebanon, the lakes, ancient avenues and sweeping lawn reveal Lydiard's formal parkland. The 18th Century ornamental fruit and flower Walled Garden has been faithfully restored and is open to the public all year round. The lawns and shady trees provide wonderful picnicking area in summer and, in early spring, the woodlands are carpeted with snowdrops. Close to the main car park and visitor centre cafe, a fantastic new children's play area has opened with exciting swinging and climbing equipment and separate toddler play area. St Mary's Parish Church, which stands behind the house, is one of England's finest small churches. It is richly packed with monuments to the St John family, including the Golden Cavalier, a life size effigy of Edward St John emerging from his tent in full battledress. The church key can be obtained from the House. From M4 take exit 16 (West Swindon) and follow the brown signs to Lydiard Park. From other directions: Follow signs to West Swindon and then the brown signs to Lydiard Park.